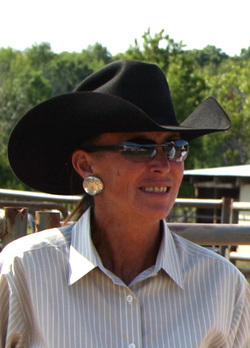 Gena grew up outside of Hugoton, Kansas where both sides of her family were involved with horses. She doesn’t recall ever consciously deciding to be a horse trainer. “It was all I knew how to do.” Gena has ridden all-around horses, like those competing in western pleasure and horsemanship. While she enjoys horsemanship, she also likes meeting people at the events.